Stefan Lindgren MD, PhD, FACP, FRCP, FEFIM (hon) is professor of medicine and gastroenterology at Lund University in Sweden, and senior consultant in gastroenterology at the Skåne University Hospital in Malmö. He was President of the World Federation for Medical Education from 2009 until 2014. His former appointments include Dean of Education at the Medical Faculty, Lund University. 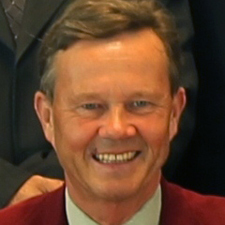 In 2016, he became chairman of the Swedish Society for medicine.